We are sitting on sofas in her office on the ninth floor of the Beehive, the circular building that houses the New Zealand government in Wellington. It is less than a month since a terrorist attack in Christchurch took the lives of 50 people at prayer. I have been asking Ardern about her immediate response to the attack, which from the outset put a clear emphasis on inclusivity and solidarity. Succinctly, the prime minister framed what had happened in her own terms. It felt very deliberate: was it? When the call came, Ardern was travelling in a minivan, sitting alongside the mayor of New Plymouth, a small city on the West Coast of the North Island. “The information was patchy and it was very difficult to decipher exactly what had happened,” she recalls. “We didn’t even know a confirmed toll. In an event like this — I can only assume, because I’ve never been through one before — there’s not a lot of time available to think about the language you want to use. And yet Ardern’s response, her choice of language, has mattered enormously. In the hours after the attack, in which an Australian-born white-supremacist shot dead 50 unarmed people in two mosques, Ardern said that this was an act of terrorism. She pointedly refused to speak the name of the man who did it. There was none of the bellicose, war-footing political rhetoric that so often stalks terrorist attacks. Gun law reforms, intended to ban all semi-automatic firearms, were expedited, with cross-party support. An inquiry was commissioned, tasked with asking, among other things, whether an emphasis on jihadi terrorism had meant New Zealand intelligence agencies were looking the wrong way. The images were just as powerful. On Saturday 16 March, after another press conference in Wellington, Ardern flew south to Christchurch, where she met members of the Muslim community. “I am here today to bring with me the grief of all New Zealand,” she said. “I am here to stand alongside you ... We feel grief, we feel injustice, and we feel anger.” She said it wearing a headscarf, an expression of solidarity that sprinted around the world. 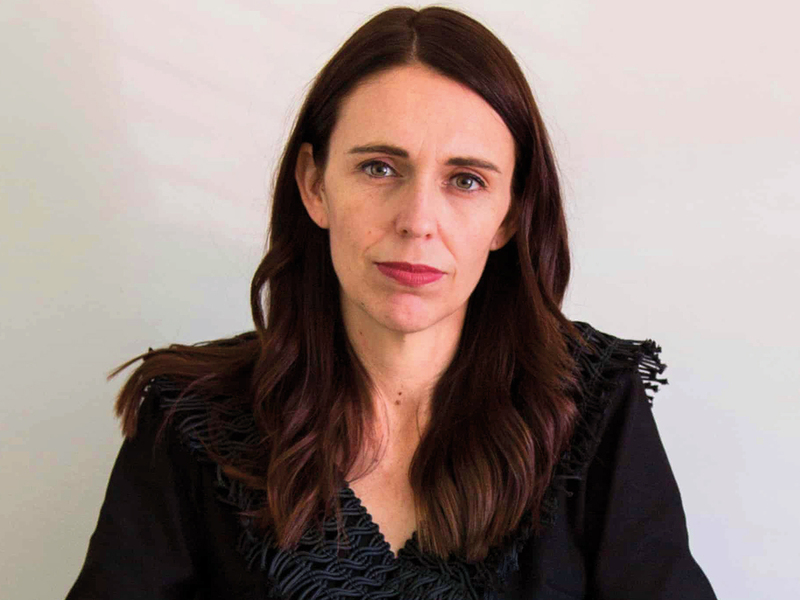 According to Ardern, the challenge is not a New Zealand issue but a global one — one in which social media giants have to uphold the community standards they have set for themselves. In the past weeks, New Zealand has reckoned with its own history. One Christchurch-based broadcaster issued an apology for an earlier column about Islam, saying, “I look back at my comments ashamed.” And in a powerful speech a week after the attack, Jamal Fouda, the imam of Al Noor mosque, where 42 worshippers were killed, said the murders “did not come overnight”, but were “the result of the anti-Muslim rhetoric of some political leaders, media agencies and others”. He may have had in mind Ardern’s deputy Peters, whose NZ First has delivered dog whistles about immigrants and “New Zealand values” for decades. Will she be speaking to him about his xenophobic rhetoric? She doesn’t need to, she suggests. “For me, it’s implicit now,” she says. Following the attacks, she points out, it was Peters who decided to travel to Turkey for a meeting of the Organisation of Islamic Cooperation. What would she like to see other nations, other leaders, draw from New Zealand’s experiences? WHAT HAPPENED ON THE FATEFUL DAY? ■ Fifty people were killed and another 50 wounded in shootings at two mosques in Christchurch, New Zealand, in the deadliest attack in the country’s history. ■ The first shooting took place at the Al Noor mosque, in central Christchurch, on Friday, March 15. ■ A gunman using the name Brenton Tarrant live-streamed footage of his rampage to Facebook, filmed with a head-mounted camera. ■ Footage showed the man, armed with semi-automatic weapons, firing indiscriminately at men, women and children from close range inside the mosque. ■ The second attack then took place a little later, five kilometres away at Linwood Mosque, east of the city centre. 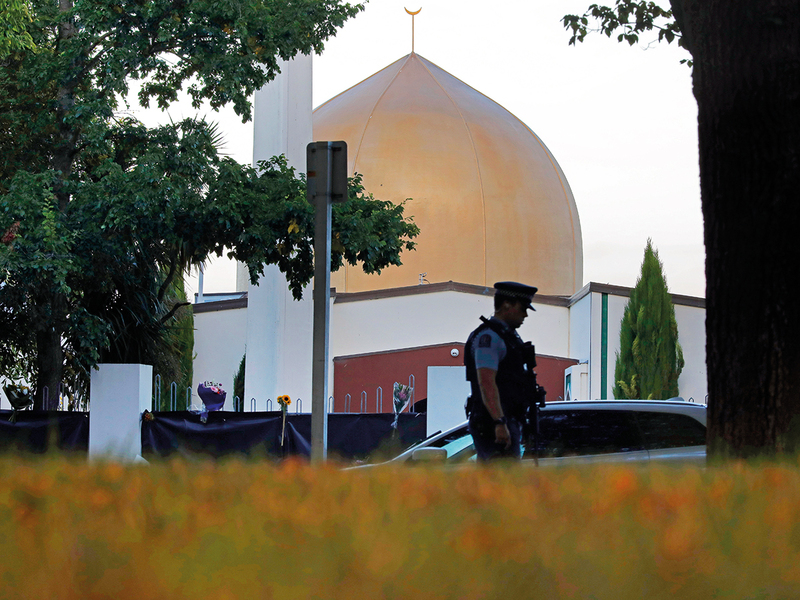 ■ There were fewer details about the attack in the Christchurch suburb of Linwood, where about 100 people were attending prayers at the Linwood Islamic Centre. ■ At about 1.55pm, the gunman stepped out of his car and shot a man and his wife, according to local media reports. ■ Two police officers, one of them armed with only a handgun, chased and arrested the suspect — 21 minutes after the first emergency 111 call reporting the attack on Al Noor mosque. ■ Two IEDs (improvised explosive devices) were found in a car and neutralised by the military, police said.